Bio: Dan has just completed filming Captain William John Ford 15th Hussars- mounted cavalry, in Mike Leigh's 'Peterloo'. 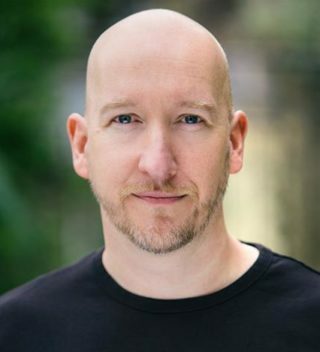 From Christopher Nolans 'Batman', 'Jerulsalem' at the Royal Court and work at Shakespeare's Globe, Dan has worked extensively in all areas of performance. He is also Director/ Producer of Award winning feature documentary 'Muse Of Fire' - a unique documentary looking at the fear and love that surrounds Shakespeare, which was also voiced by him. He runs Timebomb Pictures producing his own work and is currently working on 'The Space Theatre - Documentary', 'Georgie Maxim (Feature)', and has just completed filming 'The Loneliest Time', Directed by Cort Kristensen. He has extensive experience with writing, and performance of classical, contemporary and comedy text. Description: Dan has a fantastic natural Northern lilt to his voice. Mid-deep range that is resonant, friendly and reassuring.